Spread the wonderful gift of giving with latest Amazon Gift cards. There are several ways to send gift cards that you can choose from. Get any of these creative gift cards and give the best present to anyone now. Do not forget to click on the image description to see more. Surprise their virtual mailbox with a gift card! Sending one via email offers great features that you can choose: It can be animated or you can add personal touch by using your own photo or you can schedule a specific date to send the gift card. 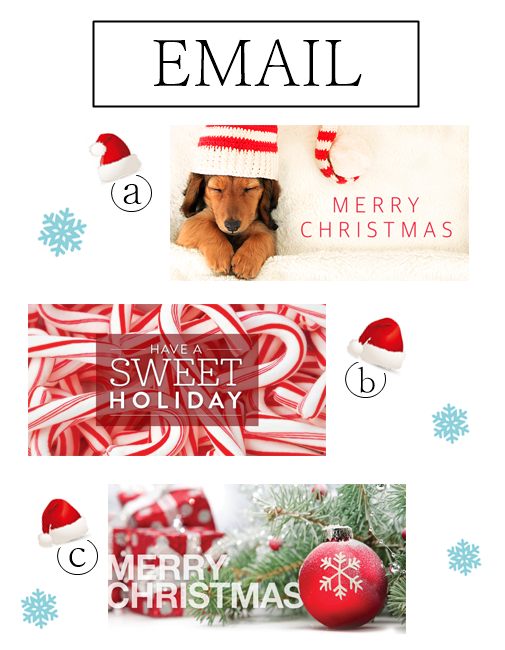 a. Merry Christmas with cute Dog – This gift card features a cute sleeping dog that’s ultimately cute! b. Have a Sweet Holiday – This gift card is the sweetest present anyone would love. c. Merry Christmas Ball – Excite your loved ones with this gift card. Greet anyone with a lovely surprise! The plastic gift card is attached in the blank greeting card. The envelope’s size is 5.25 x 7.25. It comes with an additional envelope. a. Oh Deer it’s Christmas! – This gift card has an adorable deer that will make your receiver instantly smile. b. Nativity – This gift card shows a simple and elegant design that you’ll surely like. 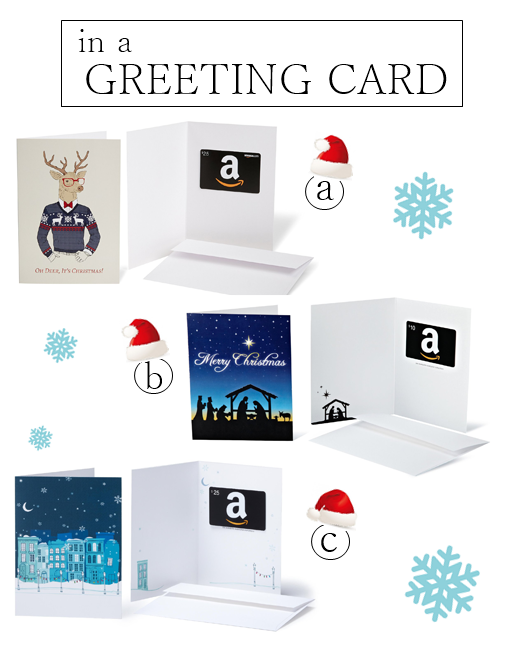 c. Winter Home – Present your holiday greeting in a card that has an artsy cover. If you want something different in sending your gift card, then have them in a unique case! a. 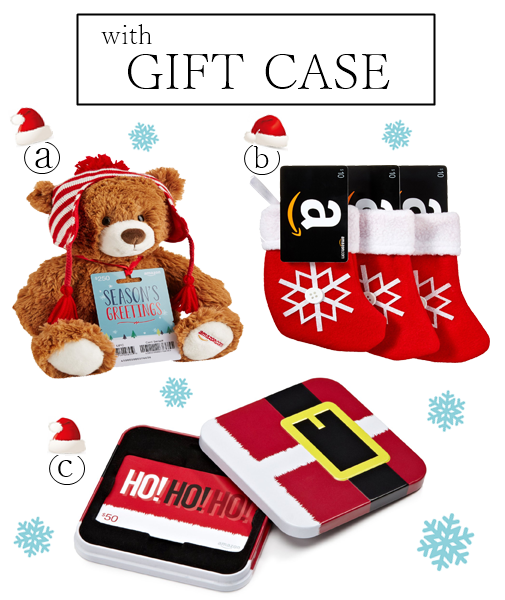 Gift Card with a Gund Teddy Bear – An irresistible plush teddy bear with an awesome gift card is something hard to resist. b. Gift Card with Stocking Case – If you’re planning to give more than one gift card, then this pack suits best! c. “Ho Ho Ho!” Gift Card – Be their favorite Santa Claus with this gift card inside a lovely box. For a fully customized gift, have the print-at-home gift card. You can choose your own photo and add colors that you want. a. Merry Christmas (birds) – This gift card is perfect for kids. They’ll love the cute bird design. 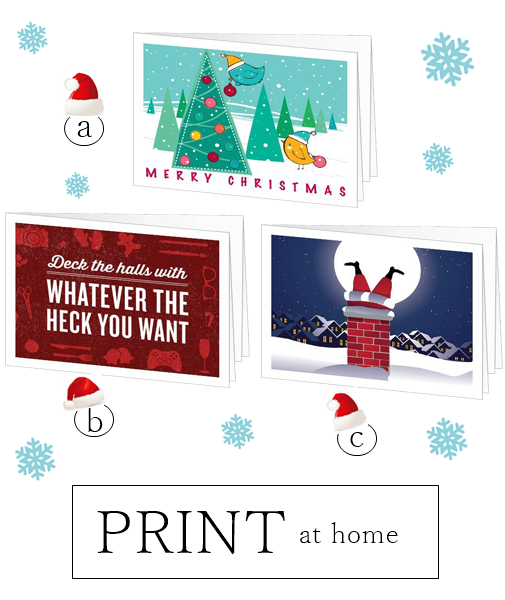 b. Deck the Halls – Anyone will have the widest smile with the exciting statement of this card. c. Fitting Christmas (santa) – Make someone laugh with this gift card cover.